Roulette, like any other popular game which has been played for hundreds of years, has a language of its own at times. 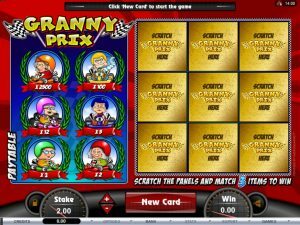 While the game is simple to play and everyone is welcome to join in at a roulette table, there are certain terms or phrases which may sound bamboozling to new roulette players. If you want to ensure that you know what is going on, the following roulette glossary will be of benefit. First of all, did you know that there are two (main) types of roulette wheel? The standard European style wheel has one 0 on it but the American roulette wheel has a 0 and 00 space on it. This provides the American roulette house with a slight edge compared to the European roulette wheel. This is because when playing at an American roulette table, the odds of successfully selecting the single number are 37 to 1, whereas for European roulette players, the odds are 36 to 1. A biased wheel is one which is not working properly and a flaw or design fault means that one particular number is more likely to be the winning number than others. A biased wheel is something that many casino players would love to experience and know about because it would greatly enhance their chances of winning. However, finding a biased wheel is very rare these days. You will see a lot of different betting options available at the roulette table and a column bet is one that is placed on any of the three columns. Each column has a twelve numbers in it, a successful column bet pays out at 2:1 and the odds for a column bet are 31% or 32%, for American and European roulette wheels. With all of the numbers listed on the roulette table, a corner bet is one that is placed on four numbers at once and your chips are placed at the corner intersection of the four numbers. A corner bet pays out at 8:1 and the likelihood of winning this style of bet is around 10%. Croupier, which originates from the French language, is usually just the dealer in the game but at times, it can refer to any casino staff member involved with the game. The “En prison” rule is not widely used and it is commonly played in European roulette games. If a player has placed an even-money bet when this rule is in play and the ball lands on 0, the bet that has been made is carried over the next game. The European roulette wheel is a popular choice for players because it only has a 0 space, not the 00 space that is found on American roulette wheels. This style of wheel provides improved odds for players and the house edge stands at 2.7% with a European roulette wheel which is far more attractive than the 5.26% house advantage associated with American roulette wheels. 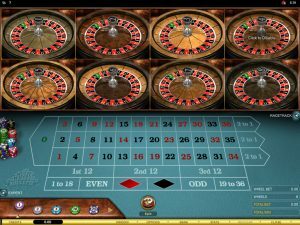 The French wheel and French roulette, contains a number of different graphical layouts and design elements but it is primarily the same roulette table and wheel as the European equivalent. There is a slight difference with the fact that the French roulette game provides more bets than European or American roulette. A high bet is a bet which is placed on the larger numbers to be found on the wheel, which is everything from 19 to 36. This style of bet is recognized as an even money bet, it pays out at 1:1 and players have a 48% likelihood of winning this bet. The markings of the roulette table gives rise to the term inside bet (and of course, the outside bet, more of which later). 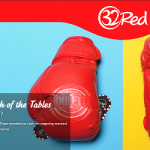 The inside bets have the higher odds bets and this is where the 38 numbers are laid out, allowing players to place single bets and combination bets. A line bet is one where a player can bet on six numbers in one move, with two rows of three numbers being the subject of the bet. This style of bet will pay out at 5:1 and there is a 16% likelihood of this bet coming up. A high bet is a bet which is placed on the smaller numbers to be found on the wheel, which is everything from 1 to 18. This style of bet is recognized as an even money bet, it pays out at 1:1 and players have a 48% likelihood of winning this bet. 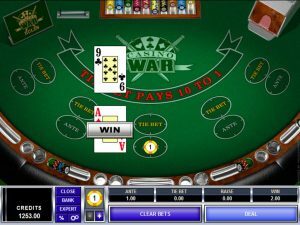 The outside bet, the opposite of the inside bet, refers to the bets that are found on the outside edge of the roulette table and this area includes the even-money wagers, the column bets and all of the dozens bets. Grab a 200% Match Bonus up to $200 FREE when you play Roulette at Black Diamond Casino. US Players Welcome! The pocket is the term given to the space where the roulette ball comes to rest. Every number on the wheel has a pocket. A street bet is where a row of three numbers on the roulette table is bet on. This style of bet is paid out at 11:1 and players have an 8% likelihood of winning this type of bet. Some people may refer to the game of roulette as the wheel but generally, the wheel just means the actual roulette wheel itself. You should find that playing roulette is simple and that there are bets which even the most novice of roulette player can play. However, with so many unique terms used in the game and at the roulette table and wheel, it is understandable that some players will be a bit confused when they start to play. Thankfully, it doesn’t take too long to familiarize yourself with roulette terminology and reviewing the terms and engaging play at the roulette wheel will provide you with everything you need to know in no time at all. Before too long, you will know all of the key roulette terms, and many of the more obscure ones, of by heart. Read our Online Roulette Strategy Tips article for more tips on how to play roulette online.